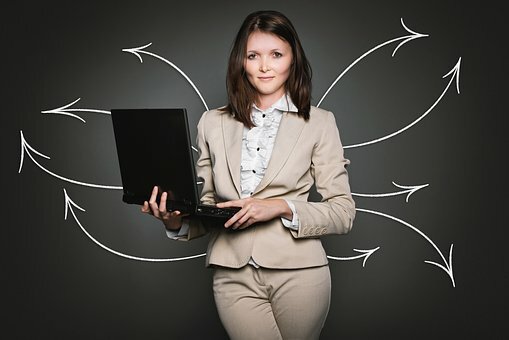 The job of Human Resources (HR) personnel does not stop at screening and hiring the right people for the company, it also includes duties such as making sure that employees get their commensurate pay and benefits, employee satisfaction and happiness at work, and overall employee productivity and teamwork. Screening applicants and hiring employees is just one of the easier tasks for HR executives, the hardest part is how to ensure that the best employees stay in the company for good – and how the company in turn can maximize and realize their full potentials and talent. Luckily in this digital age, there are many online and digital apps that can help HR executives and personnel track each employee’s attendance, manage payroll, and gain feedback. All these can be used to ensure that employees are constantly attended to, and that no one gets left behind (especially when it comes to compensation). Of course, there is an app that can make the screening and hiring process easier, and aside from Zoho Recruit, apps such as BambooHR and Workable can do this too. However, let’s just take the spotlight to Zoho Recruit for now because this is the most popular app in this category. Zoho Recruit allows HR personnel to post jobs at once on multiple leading job listing sites and Social Media pages such as LinkedIn, Monster, Indeed, etc. The app also allows you to create an applicant form which can be redirected to the company’s website. Most of all, Zoho Recruit helps organize, filter and track every resume that is received from a candidate. The best part? The app has a completely free version, but this one has very limited features. Its paid version however, has two options. Their most popular package costs $25 per month, while the premium one costs $50 per month. As mentioned earlier, the work does not stop at hiring and screening employees for the company. It also extends to making sure that they are actually happy and motivated to do their job. Employee engagement is an important duty for every HR executive, and VibeCatch can help out with that. VibeCatch allows HR executives and personnel to set-up polls, get feedback from employees and enable a crowdsourcing of ideas for company and work improvement. So it could work even for companies who do not have a regular work space yet. Best of all, the app is mobile-friendly, which makes it easier for both employers and employees to access its features. The app does not have a free version, and price starts at $24 each month for each employee. Recording employee attendance have never been easier with CakeHR. The app is created for small to medium-sized entrepreneurs who don’t want to be burdened with piling documents and spreadsheets that tally an employee’s attendance, absence, leave requests and actual leaves taken. Aside from time-in and time-out tracking, CakeHR lays out a shared company calendar that could show approved leaves for each employee, approval of leaves for the management to take care of, requests for time-offs from employees, and the number of leaves that an employee is still entitled to. The app provides two options for payment – one is $3.30 per employee on an annual basis, while the other is priced at $4 per employee on a monthly basis. Interested companies can however avail of a one month free trials service. Workday HCM is not essentially an app, rather, it is a cloud-based tool that has all the essential features when it comes to HR functions such as attendance tracking, payroll management, compensation plans, recruitment and even up to the retirement process. Aside from that, it is also a place where customer engagement can be improved with its mobile and desktop compatibility. Workday HCM is however pricey, since its target is mainly large and established companies. Its cost would also depend on the contract agreement, which should not be less than 3 years. Of course, improvement of customer engagement and management cannot be done without reading up on additional knowledge and trends that concern the HR industry as a whole. The HR Management Magazine app is a place where HR executives and personnel can be up to date with staffing and recruitment strategies, leadership training and seminars, labor law updates, and many more. Every HR executive should also take into consideration the size and industry of the company they’re working for before deciding which app is best for use. Most apps actually work best for startups and medium-sized businesses (especially those with free versions), but high-priced and premium apps are mostly targeted to large businesses which employ a higher number of employees. With more employees, HR management could get more complicated – hence the need for more inclusive HR services and apps. Jessica Radburn is a seasoned writer who enjoys creating helpful articles and interesting stories. She has worked with several clients across different industries such as advertising, online marketing, technology, healthcare, family matters, and more. She is also an aspiring entrepreneur who is engaged in assisting other aspiring entrepreneurs in finding the best office space for their business.